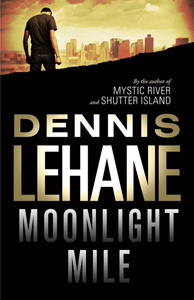 One of the closing highlights of 2010’s Bouchercon in San Francisco, was Rap Sheet Editor Jeff Pierce passing me a US ARC of Dennis Lehane’s Moonlight Mile, which provided great company for my long flight[s] back to London. Finally, Moonlight Mile gets a UK release thanks to Little, Brown UK, who have taken over the reins from Lehane’s former UK publisher Transworld. There are many reviews peppering this long awaited return of Boston PI’s Kenzie and Gennaro due to the book being released in the US last year, and now the Shots are getting in on the act. Despite Lehane’s busy schedule, Little Brown UK managed to grant our Assistant Editor Ali Karim, an interview, prior to his upcoming visit to the Theakstons Harrogate Crime Writing Festival. During our exchange, Dennis Lehane tells us his thoughts on the film version of Shutter Island, writing on the ‘high wire’, his favourite Robert B Parker novel and how the novels of Alistair MacLean made an impact on him. I know you’ve been busy with last year’s launch of Moonlight Mile in the US, so can you tell us what the American reception for the return of Patrick Kenzie and Angela Gennaro [and Amanda McCready]? Folks seem to dig it, and we’d had a long break from each other so it was nice to hang out again. Amanda McCready [from ‘Gone Baby Gone’] just popped into my head. I’ve always idly wondered what happened to her, so that probably explains why she successfully lobbied for a comeback. Despite being a family man now, Patrick has not lost any of his ‘blue-collar’ annoyance at the injustices he sees around him, so do you find it cathartic using Patrick Kenzie providing a social context to your work? Patrick’s always been my way of looking at the world through a kind of modernized version of my father’s eyes. My father was working class; I’m the son of a working class, but I’m no longer working class myself. It’s very important to me that Patrick remain working class. I know in your early work, you stated you didn’t plot heavily but did you have to plot more extensively for Moonlight Mile? No, it was high wire all the way. I knew where Amanda was and why she was gone but everything else was made up as I went. Probably shows too! And considering the success of film versions of your work, including ‘Gone Baby Gone’ - has there been any interest in filming Moonlight Mile? None that I’ve heard. The characters are 15 years older than their film versions so Casey and Michelle would probably have to spend a lot of time in the makeup chair. Plus the film, as great as it was, was not a commercial success. Talking of films, are you interested in writing for the screen after your work on ‘The Wire’? Especially as your name is now mentioned reverentially in Hollywood circles? I’ve written scripts. They just haven’t been produced yet. George Pelecanos and I just wrote one together for HBO that we’ve got high hopes for. Your 2003 novel Shutter Island has been one of my all-time favourite gothic thrillers, So let me know your thoughts about what you felt about the film version? I thought it was terrific, made special when I visited the set and met with Martin Scorsese, Leonardo DiCaprio, Sir Ben Kingsley and Mark Ruffalo. I also met Max Von Sydow; it’s a singular experience to shake the hand of The Exorcist, himself, believe me. Too cool for words! And what did you feel about the last line Teddy said at the end of the film which perhaps made it more accessible for general film audiences? It’s an interesting line. My concern was that it be clear that Mark Ruffalo’s character not hear it. As long as that was crystal clear then I had no problem with the line. It’s an interesting way to go. And what did you make of Christian De Meter’s graphic novel version of Shutter Island? Loved it. Gorgeous panels in there. Really well done, I loved it. Returning back to PI Fiction, we were all devastated when Robert B. Parker passed away and reading your fine piece on how important his work was to the Crime / PI genre, I noticed that you were reading his work from an early age, so which of his books would you state made an especially ‘big’ impression on the young Lehane? A good half dozen of the books made a huge impression and the sense of humor in those books had a watershed impact on me, but the one I loved most was probably LOOKING FOR RACHEL WALLACE. 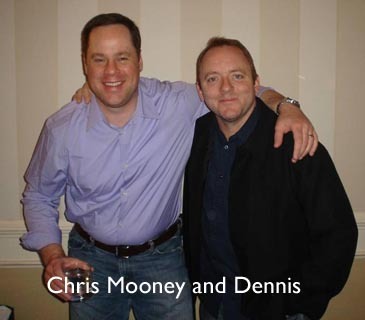 At last year’s Bouchercon, we noticed that you arranged fellow Bostonian Chris Mooney to read out your ‘Appreciation of Lee Child’ speech. Would you care to tell us why you enjoy the adventures of Jack Reacher? And why Lee Child’s work has risen to the top of the crime / thriller genre? Because Lee does something that looks deceptively easy but is actually near impossible to pull off. I sure couldn’t do it. He creates a series super hero and makes him interesting, book after book. And Lee writes pure suspense better than almost anyone alive. Talking about Chris Mooney, why do you think his work is more popular in the UK than he is in his native USA? Beats me. I don’t engage in that kind of thinking. Chris’s publisher should probably figure it out. I love his work, though, so I wish it were different for him but trying to figure the tastes of an entire country is a recipe for madness. I know one thing you share with Lee Child is that both of you read a lot of Alistair MacLean in your youth, so tell us a little about what the appeal of this Scottish thriller was to you, and what were your favourite novels from his work? Alistair MacLean would always set up his books with a basic foundation in which not a single thing you learned would turn out, in the end, to be true. After you read a few of his books, you’d start to look for the twists, but you could rarely see them coming. For a twelve-year-old boy, this was heaven. Plus, a good half of his novels were set during World War II which I’ve always been fascinated by. WHERE EAGLES DARE is probably my favorite, though I love them all and he wrote like 30 or 35 of them. Another I loved was called—if memory serves—SOUTH BY JAVA HEAD. While at Bouchercon I met up with your agent Ann Rittenberg and complemented her on her book ‘Your First Novel’ that she wrote with Laura Whitcomb. I really enjoyed your introduction / preface, so tell us how she was when you told her that Patrick and Angie would return after ‘The Given Day’? I told her when we were on a flight to Sweden together. She was very excited, but I’d also just told her my wife was pregnant and she was even more excited about that, which is sweet. I really enjoyed the political dimensions in The Given Day. Were you surprised that not many people picked up on the mirror you placed when it came to today’s ‘so-called-war-on-terror’. Last time we met was in 2009 at Borders UK in Charing Cross Road in London, and we discussed the economic crisis and the effect on Publishing. Since then Borders UK went bust, Borders US is not in great shape either so what are your thoughts on the situation? I think globalization is starting to reap what it sowed, which is a terrible result. The problem is that I just write and don’t know what to think, maybe e-Books will help, but I just don’t know. It’s a troubling time for the industry. So with a visit to the UK this summer, what else have you planned for 2011? And are you writing? And if so, any hints what might be ahead for your readers? I’m working on several TV projects here and then my next novel which involves one of the characters from THE GIVEN DAY and the Prohibition era in the US. For more information click here for a video interview with Dennis Lehane as walks the Boston Beat, that forms the backdrop for Moonlight Mile. 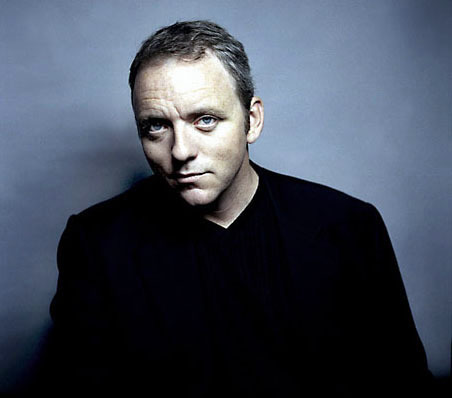 If you want to meet Dennis Lehane, mark your diaries [21 – 24 July 2011] as he is one of the special guests at this years Theakston’s Old Peculiar Crime Writing Festival.